I was watching the boxing match between Pacquiao and Bradley a few days ago and I can’t help but see the analogy with sports and how we deal with our finances. 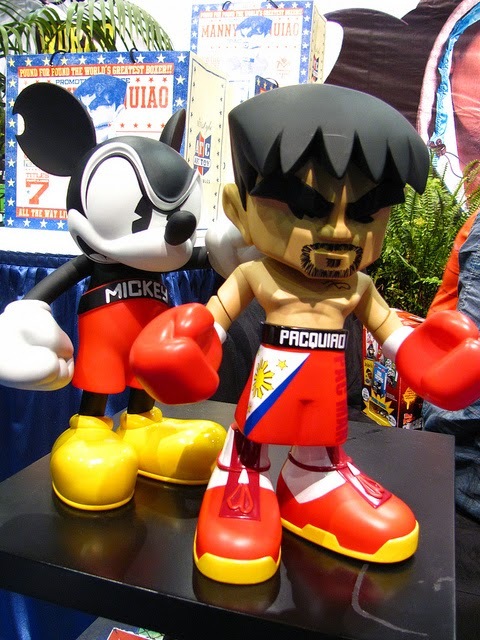 (I know it's a little odd to be thinking about this during a boxing match... great win by Manny by the way.) It seems like a very far-fetched analogy at first but you’ll understand my point soon enough, I hope. It’s a combination of good offense and good defense. That’s how you win in sports. Getting the most points you can get while preventing your opponent from scoring is the ideal combination. I strongly believe that’s how we succeed with our finances as well. That is, if our aim is to attain a stable financial footing. We can think of offense in our finances as the way we earn money. It could either be income from our job or profits from our business. Whatever it is, we want our offense to be as good as can be. We aspire for a high-paying job. We plan on growing our business. If there something we can do to earn more, many of us will do it willingly. But even if we always want a higher income, we know it’s not easy to achieve. It’ll involve a good amount of time and effort to increase our earning. So it's easy to give up on this goal and just make do of whatever we currently get. Another offense strategy is to multiply our earnings through investing. Money is capital and if we are wise about it, we will make use of it so that the value keeps increasing. There are many ways to invest and I have written about some of them. I believe we all should find some time to learn investing because it would be for our own benefit. Our budgets are our form of defense. We can’t let all the money go out the door in one go. We need to control how money is spent. We need to push back on things we desire so we can focus on important things with the limited amount that we have. We, all of us, should learn to spend wisely. And that can only be done if we plan for it and vigilantly keep this defense working. How we live our lives is reflected, to a great degree, on how we handle our finances. What’s important to you is what you spend your money on. If you don’t think much about the future or if you care less about uncertainties beyond the present, you can be spending everything today without any thought of how it may constrain your buying power in the future. But if you are concerned about you and your family's future needs, a good defense is essential. There are competing needs and wants that are sometimes difficult to avoid. And if we are not careful, our finances may suffer because of it. Should you buy that brand new smartphone because you think it will benefit you today if it would mean less retirement savings for yourself or less college funds for your kids in the future. It's not always going to be easy to decide. And the forces that tells us to spend now can be so great for us to be able to resist the temptations. I’m not saying we should save everything. That’s not possible and I can’t imagine it will make anyone happier. I am, however, saying that we are predisposed to spend what we earn. So the need to be vigilant about thoughtless spending should be constantly observed. We have no need for any reminder to spend but we do need to remember that spending unwisely will have disastrous results.